Q3. 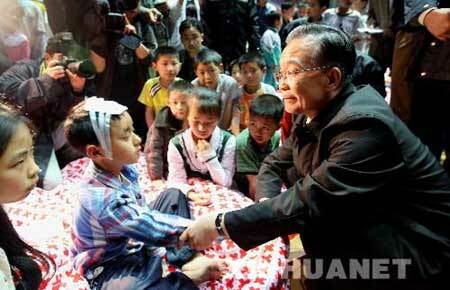 During the eight years of Chen Shui-bian as President, has your family situation become better or worse? Q4. During the eight years of Chen Shui-bian as Presdient, has the overall development of Taiwan been for the better? or for the worse? Q5. During the eight years of Chen Shui-bian as President, has how do his contributions compare to his flaws? Q6. Which president has made the most contribution to Taiwan? Q7. After President Chen Shui-bian finishes his term, should the investigation about state fees/corruption be continued? Or should it be stopped? Q8. Would you approve of Ma Ying-jeou issuing a special amnesty to Chen Shui-bian over the state special fees case? Q1. Do you feel sorrowful about the earthquake disaster? Q2. Do you think that the response of the central government was ... ? Q3. Are you satisfied with the performance of the central government in disaster relief? Q4. Are you satisfied with how the central government has provided information about this earthquake? Q5. How do you feel about the post-disaster relief work done by the central government? Q6. Do you support the Hong Kong SAR government allocating HKD 300 milion for disaster relief and clean-up? Q7. Are you worried that this earthquake disaster will affect the progress of the Beijing Olympics? Q8. The central government has allowed overseas rescue organizations and materiel to enter China. Do you think that this will improve the international image of China? Q9. 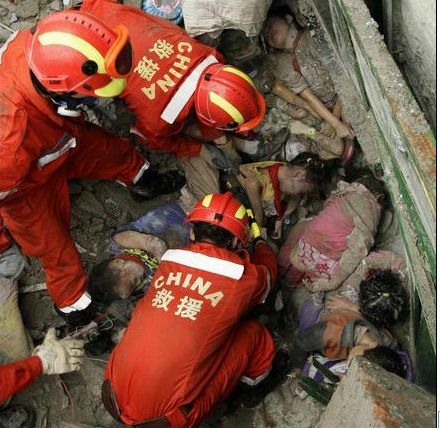 Does the performance of the Chinese people in this earthquake disaster make you proud of your people? Q10. Will you donate money for disaster relief? Japan, USA, France and Russia are the only countries whose governments are more disliked than liked. Of these, France is a new entry because the survey results in December 2007 had been 24% positive and 7% negative. What happened? The Olympic Torch Tour As Public Relations Disaster even had an impact of the people of Hong Kong. Train Wreck Continues At Apple Daily (05/20/2008) Apple Daily continues to feature opinion pieces to defend Li Yi's "Reprimand of the Gods" essay on the Sichuan earthquake. Apple Daily lead writer Li Yi wrote an essay on the day after the earthquake to call for the Chinese Communists to do some good deeds in order to avoid the wrath of the Gods. Immediately, a cultural revolution exploded on the Internet: the Red Guards rushed out and conducted a public trial by personal attacks. The mistake of Mr. Li Yi was that he over-estimated the extent of freedom of speech in Hong Kong. Li Yi's question about the will of the Gods should have been brought up by someone such as history professors at Hong Kong University but they chose to keep silent. Is Li Yi cold-blooded? At least he did not treat his compatriots as subjects for "tanks running over pigs" experiments. Wake up, Hong Kong people! Do not let freedom of speech sink along with the earth shell plate! (1-555-CONFIDE blog) What is freedom of speech? ... In Apple Daily today, there is an essay titled "Some words about freedom of speech" concerning the widely condemned theory of "reprimand by the Gods" from Li Yi. This essay contains a sentence. The mistake of Mr. Li Yi was that he over-estimated the extent of freedom of speech in Hong Kong. I don't want to comment on the rights or wrongs of Li Yi's theory of "reprimand of the Gods." But Wong's sentence here is problematic. The broad criticisms of Li Yi are precisely the manifestation of freedom of speech. Li Yi's own freedom of speech ought to be valued, but shouldn't the freedom of speech of his critics be valued as well? Freedom of speech does not guarantee that one is not held accountable for one's opinions. When your speech is flawed and disturbs other people, why can't they raise a question peacefully? (Note: I oppose violent language, so this refers only to peaceful discussions) This has nothing to do with freedom of speech. Has Li Yi been punished like Hu Jia? Has anyone used poison to render him unable to speak, or cut off his hand to render him unable to write? I don't think that his freedom of speech has been abridged. At the very least, he still has a column at the Apple Daily commentators' section and he will most likely continue to write editorials for Apple Daily. Wong's essay is about freedom of speech, but this whole affair has nothing to do with freedom of speech. Therefore, Wong's essay is just a waste. But if Wong thinks that freedom of speech means the right to have your say without allowing for disagreement, then I have nothing more to say. Do Not Be A Chinese Child (05/19/2008) The title of the Ming Pao essay by Yip Fei is "Do not be a Chinese child" which is a song title. This sad song seems to go on forever: Do not be a Tangshan child, do not be a Wenchuan child, do not be a Chinese child ... That is because while an earthquake is terrible, the indifference to earthquakes is ever more terrifying. When the story of indifference to earthquakes is repeated again and again, that is extremely terrifying! ... Even though short- and immediate-term earthquake predictions are inaccurate, they are not impossible. Yip Fei cited the earthquake predictions from Geng Qingguo, Li Shihui, Long Xiaoxia et al, and Chen Xuezzhong as examples of scientific studies that turned out to the true. (yes88.com) The scientist Geng Qingguo developed a theory of earthquake prediction based upon the relationship between droughts and earthquakes. He observed that in earthquakes of magnitude 6 or stronger, there is frequently a drought one year to three-and-a-half years before; the larger the drought area, the stronger the quake; and a third-year quake is half a magnitude bigger than a one-year quake. Using this theory, Geng Qingguo claimed to have successfully predicted the Haichang quake of 1975 and the Tangshan quake of 1976. In April 2006, Geng Qingguo made a mid-term prediction at the Natural Disaster Prediction Committee of the Chinese Geophysical Society that there will be a 6 to 7 magnitude earthquake south of Lanzhou in the region about Sichuan, Gansu and Qinghai. On April 30, 2008, Geng Qingguo sent a confidential letter to the China Earthquake Administration that "a magnitude 7+ earthquake is due to occur in the Aba Prefecture area of Sichuan around May 8 (plus or minus 10 days)." (ESWN comment) The information on Geng Qingguo is incomplete. It is stated that he is three-for-three on the Haichang, Tangshan and Wenchuan earthhqakes. But how many other predictions has Geng Qingguo made in his career? How many of those turned out to be correct? If he has made only these three predictions, then he is a true genius. If he has made five hundred other incorrect predictions, then he is wasting people's time. Alternately, if he does not disclose his record, someone can check how often droughts occur without an earthquake within the specified period (one year to 3-1/2 years). (enorth.com.cn) In 2004, the same Geng Qingguo proposed a theory about the flooding of the Yellow River as being determined by the orbit of the planet Venus with respect to the Sun. Thus, that the Yellow River floods of 1517, 1760 and 2003 all occurred one year before Venus and the Sun reached a particular position. According to this theory, it will be another several hundred years before the Yellow River floods again. Does that mean that no flood control projects are necessary now for the Yellow River because the theory says that there won't be any floods? Alternately, when the date comes, it is also futile to fight against it because the theory says that it will occur anyway. This flood theory is just plain stupid. Man cannot do much to prevent or stop earthquakes because much of the seismic activity occurs unobserved deep underground. But man can do a lot of prevent flooding (through levees, dams, dredging, etc) and the results of these actions are highly visible. The physical attributes of Yellow River today must surely be vastly different than in 1517 or 1760. How can Venus have the same effect in a predetermined and irrevocable way? (Xys.org) There was a 2006 paper in the <Journal of Catastrophology> which stated there will be an earthquake of magnitude 6.7 or above in the Yunnan-Sichuan area in 2008. The basis is not about any theory based upon geophysics. Rather it involves looking at the 25 years in which major earthquakes had previously occurred: 1913, 1917, 1923, 1925, 1933, 1936, 1941, 1942, 1948, 1950, 1952, 1955, 1960, 1967, 1970, 1971, 1973, 1974, 1955, 1960, 1967, 1970, 1971, 1973, 1974, 1976, 1981, 1988, 1989, 1995, 1996 and determining what the next date is. In that 2006 particular paper, an arithmetic formula was derived to show that the next date was 2008. (ESWN comment) If this paper were written in 1990, then the arithmetic formula would yield 1993 (not an earthquake year); if this paper were written in 1996, a different arithmetic formula would be derived with the next earthquake most likely occuring within 7 years (which was the maximum gap observed in the series). But since the paper was published in 2006, the authors knew that there were no earthquakes since 1996 and therefore the required date has to be 2006 or beyond. This is numerology. This is not science. Besides, this not actionable in the short-term because you cannot make the people in the Yunnan-Sichuan live out in open space for the year 2008 on the basis of this piece of simple arithmetic. With the respect to the case of Chen Xuezhong, there was a paper published in 2002 titled "Seismic Risk Analysis of Earthquakes of M>7.0 in Sichuan Province, China." Here is the English-language abstract. The correlation between the time intervals of earthquakes of M>7.0 occurring since 1800 and earthquakes of M>7.0 occurring since 1900 in Sichuan Province and great earthquakes of M>7.7 in the mainland of China is analyzed statistically in the paper. With the result that since 1800 the mean time intervals of of earthquakes of M>7.0 in Sichuan Province is about 16 years, the longest one is 34 years and the shortest one is 3 years. The time intervals below 23 years are 83%. Since 1900 the mean time intervals of earthquakes of M>7.0 in Sichuan Province is 11 years, the longest one is 19 years and the shortest one is 3 years. Since 1900 one to three years before 7 earthquakes of M>7.0 occurring in Sichuan Province, great earthquakes of M>7.7 took place in mainland China. Since 1976 earthquakes of M>7.0 have not taken place in Sichuan Province and the time intervals have been far exceeded. Under this background, the great earthquake of M=8.1 occuring in the boundary between Xinjiang Uygur Autonomors Region and Qinghai Province on November 14, 2001 maybe predicts that an earthquake of M>7.0 will take place in Sichuan Province in one or two years of the future. Beginning with 2003 we should pay more attention to the possibility of an earthquake of M>7.0 occurring in Sichuan Province. (ESWN comment) This is not science either. First, it is arguing that the average time interval between M>7.0 earthquakes in Sichuan Province is 11 years and one is therefore due given that the last one took place long ago in 1976. Next it also argues that M>7.0 earthquakes occur in Sichuan Province usually one to three years after a M>7.7 earthquake elsewhere in mainland China. Since a M=8.1 earthquake occurred in Xinjiang in 2001, Sichuan Province is due for a M>7.0 earthquake between 2002 and 2004. This is a statistical analysis of dates that is akin to numerology. It is in no way actionable in the short term either -- you cannot make the 120 million people of Sichuan Province live out in open space for the years 2002, 2003 and 2004. If they had done that, it would be hell to pay afterwards because there was no major earthquake during those three years. We apply a scheme of R score to evaluate the annual earthquake risk regions identified by the Institute of Geophysics, CEA from 2001 to 2004. The R scores for 2001, 2002, 2003, 2004 are 0.265, 0.182, 0.293, 0.404 respectively. The R score for the last two years are relatively higher. The random guess tests have been conducted, and the probabilities for earthquakes to randomly drop into the earthquake risk regions are calculated. The results show that the R scores for the earthquake risk regions of these four years are great than ones for random guess tests, and the random probability, except for 2002, is less than 2%. It is shown the annual risk regions carried by Institute of Geophysics are significant in practice. 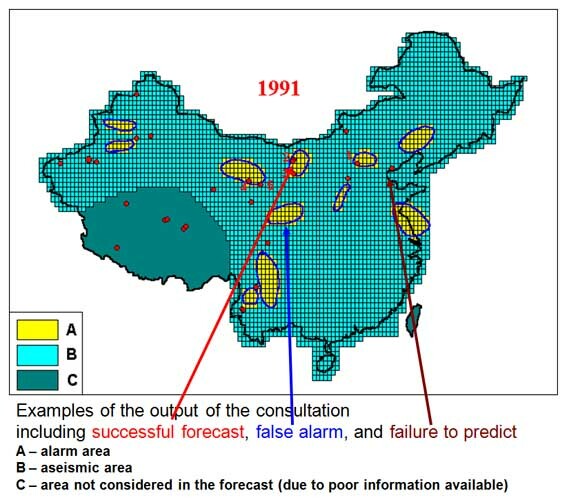 (ESWN comment) Here is an illustration of what happened from the Earthquake Forecast Study from the Institute of Geophysics of the China Earthquake Administration. The yellow areas are the designated risky areas of 1991 and the red dots are the actual earthquakes. Tibet and Taiwan were not included in the risk assessment due to lack of information. Would you say that the forecasting was good, given that most of the red spots lie outside the yellow areas? Do you want the people in the yellow areas to spend 1991 out in open space while the people outside the yellow areas can live with a false sense of security? Each year, the Institute of Geophysics publishes a list of earthquake risk regions. If during the course of the year, an earthquake occurs within those regions, this is considered a success. Tables 1, 2, 3 and 4 in the paper shows the listing of predictions and the results for the years 2001, 2002, 2003 and 2004. For example, entry 1 in Table 1 lists the Wenjuan-Shihezi region in Xinjiang with a predicted M=6 earthquake in 2001 over an area of 67,000 square miles, and there was a M=5.1 earthquake on March 24, 2001. So this was a success. The successes were 3/11 in 2001, 1/9 in 2002, 3/8 in 2003 and 4/9 in 2004. But are these predictions actionable? After all, the prediction is for an earthquake in a region covering tens of thousands of square miles at some time during the calendar year. There is no short-term action that can be taken (such as having everybody in the area stay in open space). Why are these papers being selected for public discussion right now? Because someone went through the data-mining of all 'scientific predictions' out there and these paper were found to be 'correct' after the Wenchuan earthquake. Before that earthquake, there were any number of other earthquake predictions for elsewhere but they have not been brought up at this time because they did not predict the Wenchuan earthquake. But how is anyone to sort out the 'correct' predictions from the 'incorrect' ones from among the hundreds of predictions before the earthquake? Among the long list of papers at the Institute of Geophysics of the China Earthquake Administration, here is a 2007 paper titled "Earthquake prediction: progress, difficulties and prospect" by Chen Yuntai. This is about the same understanding that western earthquake researchers have about the state of the art/science of earthquake prediction. Earthquake prediction is a difficult problem in Earth science that the general public wants to be solved urgently, yet for achieving this scientific goal long search is required. Since 1960s considerable progress has been made in long- and intermediate- term prediction, including seismic gap method, stress shadow method, seismicity pattern method and computerized pattern recognition techniques in predicting large earthquakes, the occurrence of anticipated Parkfield earthquake. At present, earthquake prediction is its infant, exploratory stage, the ability to make short- and imminent-term earthquake prediction remains poor. It is a no-brainer to say that the seismically active regions of China need to be better prepared for earthquakes. This includes better building codes, better enforcement, better emergency plans, better rescue equipment, better everything. But it is counter-productive to cite a bunch of unsound 'scientific' studies to justify that call. It only discredits the call because it shows an ignorance of the science and the practical policy options and implications. China Earthquake Administration Monitoring and Alert Department deputy director Ju Shi said that "certain people said on the Internet that the CEA had suppressed earthquake predictions ... but the fact is that the CEA has neither issued any short-term predictions nor has it received any short-term prediction reports from any departments, individuals or groups about this particular earthquake. The information about any prediction on this earthquake does not match reality." Ju Shi sid that many individuals and groups are studying earthquake prediction and the China Earthquake Administration received several dozens or even more than a hundred short-term prediction reports each year. But earthquake prediction is acknowledged worldwide as a difficult problem in science. These submitted short-term predictions are of poor quality and it is rare to find any accurate short-term predictions. Since the year 2000, the China Earthquake Administration's Earthquake Network has received more than 700 short-term earthquake prediction reports. Among these, seven turned out to be accurate. In 2008, 26 earthquake prediction reports have been received and none were accurate. Ju Shi said that any department or individual can submit short-term earthquake prediction based upon observed data and scientific research. The information can be submitted to the county-level or higher earthquake administration, or to the China Earthquake Administration directly. But the prediction cannot be published directly to the public nor to overseas outlets. An exception is that the long-term and mid-term forecasts by individuals or groups can be discussed as a matter of academic discourse. The Most Awesome Project Hope School In History (05/19/2008) (New Express via Wenxue City) During the recent earthquake, it was reported that 6,000 school buildings collapsed and untold number of school children perished. But at Zhengjia Haiyuan village only fifteen kilometers away from Beichuan, there was an excerption. 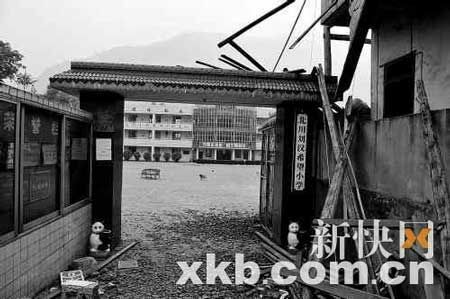 On May 17, a netizen posted an essay titled "The most awesome Project Hope school in history" in which he wrote: "During the Wenchuan earthquake, many school children were taken by surprise and buried underneath the collapsed buildings. But a Project Hope school building only 15 minutes in the hills outside Beichuan county town survived the strong earthquake. Not only did the building stay intact, but all 483 students and the teaching staff were evacuated safely." There are the photos before and after the earthquake. 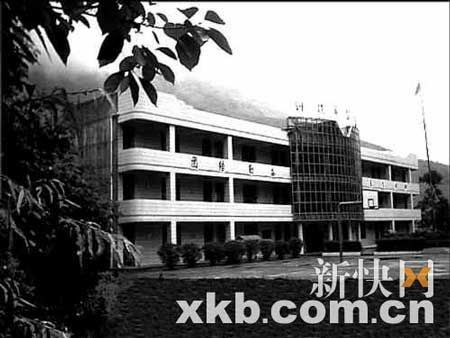 (Wenxue City) The case of this Project Hope school caused the netizens to set off the "human flesh search engines" to flush out the building contractor who was responsible. The contractor was tracked down to a Hanlong Group, which was the enterprise that donated the money to build a Project Hope elementary school. The person in charge of construction was the office manager of the Hanlong Group. When the reporter contacted the Hanlong Group, the office manager was still working there. However, he was adamant in not giving out his name and he did any want any praise. Here are the main points of the interview. 1. Ten years ago, the group chairman and general manager told me, "We can shortchange anything but education. You must assure the quality. If anything goes wrong, you are through in this company." 2. One day, he found out that there was a problem with the cement because there was not much soil. Since he used to be a deputy manager at a cement company and he had supervised more than 500,000 tons of cement, he was an expert. He screamed at the sub-contractor and got the soil removed. 3. During a meeting when he asked why there was a delay, he found that the sub-contractor was ill at ease. He probed and learned that the sub-contractor had not been paid. By practice, Project Hope donors must turn their money to the relevant government department, which then pays the sub-contractors. So he went to the government department and straightened out the payment problems. 4. The ceremony for laying out the foundation was also delayed for some reason. Once again, he blew his top and went to the relevant government department to straighten things out. Finally, the school got its playground. On May 12, 2008, this playground was where the students were evacuated to. The office manager did not want to be named because of concerned over the mention of the 'quarrels' that he had with government departments might create problems. It is said that it is a miracle that there was no loss of life this time. But the truth is that this so-called miracle is about a builder thinking about what might happen to the building ten years later. The Central Publicity Department Gets Overrun (05/19/2008) (Ming Pao via DWnews) A week ago before the Wenchuan earthquake even took place, the focus of attention at the Central Publicity Department was the unfair treatment of the March 14 Lhasa riot by the western media. Late last month, the Central Publicity Department decided to spend over 1 million RMB to ask universities with departments of journalism to make in-depth analysis of western media using the post-March 14 reports as the case study. Each university was asked to write a 10,000-word essay for which they receive 100,000 RMB in fees (which works out to 10 RMB per word). The essays were due at the end of May, and would be the basis of a counter-attack by the Central Publicity Department. When the earthquake occurred on May 12, the Central Publicity Department acted the usual way for an emergency incident. An order was sent down to the various local media not to gather news on their own and stick to the Xinhua/CCTV reports. Then the Central Publicity Department quickly found out that the order was ineffective. The various city and provincial reporters rushed out to the frontlines overnight. One newspaper had almost 50 reporters out in the field. 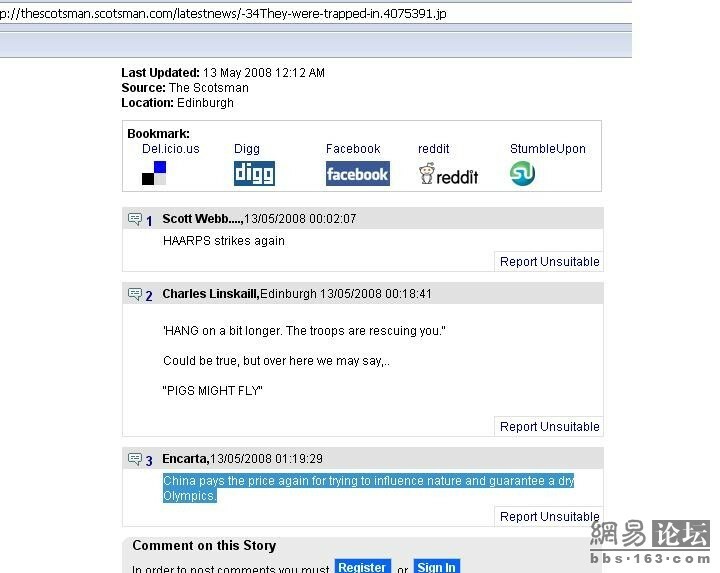 Everybody said that at a time of national emergency, they could not worry too much about the censors. Even if their reports get spiked, they could serve as volunteers serving the nation and its people. Once the reporters arrived at the front lines, they threw themselves into gathering news while blending in with the military soldiers, police officers and civilians. They completely put the ban order from the Central Publicity Department behind their minds. On the Internet, there was also a lot of information and opinions that came spontaneously from the civilian sector. The Central Publicity Department did not have the ability to stop this tidal wave either. They could only ask Xinhua and CCTV to increase their "opinion leadership" by denouncing the things that deviate from the official position, such as questions about earthquake prediction and shoddy construction of school buildings. This big earthquake had also changed the western media coverage of China. The overseas media were affirmative in their evaluation of the quick and decisive response to the emergency. CNN also apologized for the anti-China speech. So the 1 million RMB research project paid for by the Central Publicity Department did not have to be used because the ground situation had changed. (Apple Daily) On May 17, the following blog post appeared at Xanga. Here is a translated excerpt. how come nobody is donating any money to the Sichuan pandas? what the hell is this to me? why should i make myself unhappy? am i supposed to cry for the rest of the week? enough money has been donated, so why should i have to donate as well? are you crazy? isn't there enough RMB already? don't you agree that death is better? they can die but why should we get involved? how about them making some contributions to society first? so who is your $10 going to help? This blog post was quickly cross-posted at the various Hong Kong discussion forums and drew strong netizen criticisms. Information about the blogger was quickly dug out, including the fact that she was a student at an elite school. There were also many photos. The netizens also emailed the principal of her school to demand action. Some netizens refused to believe her because she is only writing this upon fear of expulsion from her school. The blogger has shut down the blog. I used to think that I have to read books every day. But over this past week, the only thing that I could read besides Buddhist scriptures is all the reports and commentaries on the Sichuan earthquake. This is how I came across the controversial "Reprimand of the Gods" theory of Li Yi as published in Apple Daily. It was a dynastic tradition that when a natural disaster occurred, the ruler would make a public statement to blame himself. Ultimately, the only check on the power of the Emperor is the Gods. Thus, Mr. Li used to remind the Chinese authorities that Hu Jia should be released, human rights is important, democracy must be implemented ... At this moment of national disaster, these words were obviously hard to take. Later on, Mr. Li explained that even if the situation is dire, dissidence is still essential. He quoted the various doubts in mainland publications about earthquake prediction and disaster relief. He said that freedom of speech can bring about improvement. It so happened that I am familiar with all the dissident opinions that he cited, and I am bold enough to say that they are not like the "Reprimand of the Gods" theory. When we criticize the authorities for censoring the discussions on earthquake prediction, or the shoddy construction of school buildings, or the belated request for foreign aid, we are caring for the hapless victims of this catastrophe. We are thinking about to prevent this tragedy from occurring again and we want to rescue more people. Yet Mr. Li's dissident opinion is that he wants to government to reflect on its human rights problems and political grasp on power, and consider releasing wrongfully sentenced prisoners. Mr. Li has always cared about political freedom and democracy in China. Obviously, he is motivated by a strong sense of patriotism. Gradually, he has moved into what the authorities regard as an opposition position. Strangely enough, many people in that position regard themselves as democracy fighters, as if there is nothing else besides democracy to talk about and nothing else the state needs to work on. Eventually, they treat the authorities as enemies who are blocking political freedom. All mishaps including natural disasters as well as human errors are blamed on the lack of democracy. I don't think Mr. Li's intentions were bad. But at that moment, his anger at the authorities overwhelmed his sympathy for the people. That is why when the earthquake occurred, he thought that we had to be concerned first of all about the government's faults in political reform. The dead served as a warning signal. The transition of an insistence on patriotism to an insistence on contrarian hatred is a common human trait. 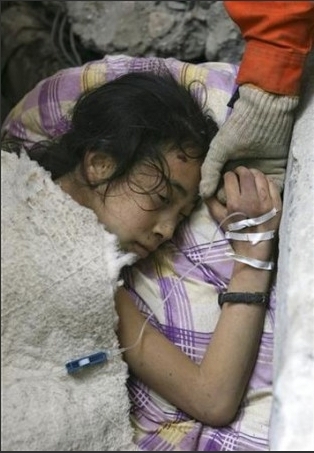 A Little Girl Named Li Yi (05/18/2008) Here are some some EXTREMELY GRAPHIC photos from the Reuters agency. 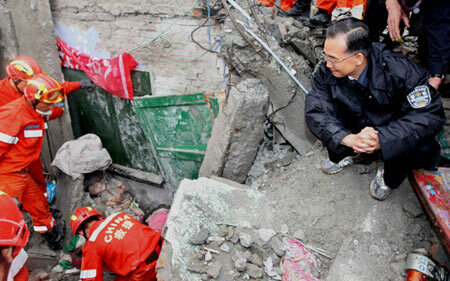 In short, the photos show the amputation of the left leg of a 10-year-old girl in the rubble of a Beichuan school. Here is the link. 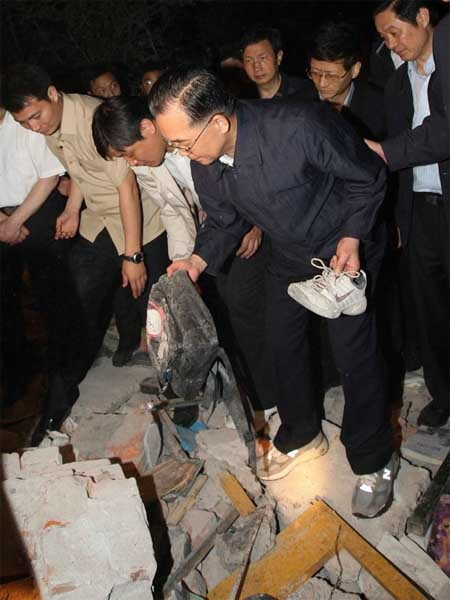 The accompany story is: "Li Yi, 10, screams as her left leg is amputated to rescue her from the ruins of a collapsed building at Miaoba primary school in earthquake-hit Beichuan county, about 99 miles, northeast of the epicenter at Wenchuan county, Sichuan province, May 15, 2008. REUTERS/Stringer." 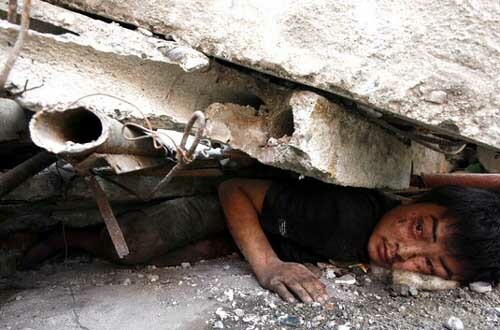 The young man named Chen Jian was trapped underneath some earthquake debris. While waiting for the lifting equipment to arrive, he chattered with the reporter. He said: "I am a lucky as well as unlucky person in the Beichuan earthquake. I felt that I escaped from the hands of Death. Many of the others are less fortunate. I am pinned underneath three pieces of pre-fabricated slabs and I cannot move. I have not eaten anything for three days and three nights. I only drank some water. I must be strong. I have to be strong. I have be strong for everyone who loves me. I must live for their sakes, because they have been so good to me. I hope that you can be just like me and not be intimidated by any hardship." Chen Jian came from Anyuan to work in Beichuan. He said that he wanted to go home and see his family. "I don't want my child to be born without knowing what his father looks like. I think that I have escaped from grasp of Death. I am not afraid of nothing anymore. I don't know if I have a good chance to survive?" After trying for six hours, the rescuers finally extracted him successfully. On the way bringing him down the hillside, the young man was unresponsive no matter how the reporter and rescues implored: "Chen Jian, Chen Jian, wake up!" A lieutenant tried to give him cardiac massage and mouth-to-mouth resuscitation to no avail. The reporter cried her eyes out. The military policeman sobbed and said: "You foolish man. You held on for so long already. Why can't you hold on a bit longer? You foolish man." 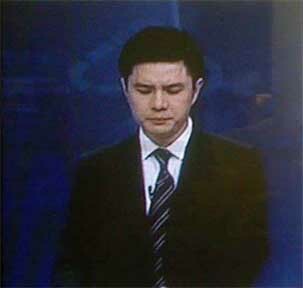 From the CCTV studio, the anchorwoman broke into tears as well. At the Tianya Miscellaneous Chat section, there was a controversial post about the mother who left a SMS to his son from underneath the rubble. By the time that the rescuers reached her, she was already dead. 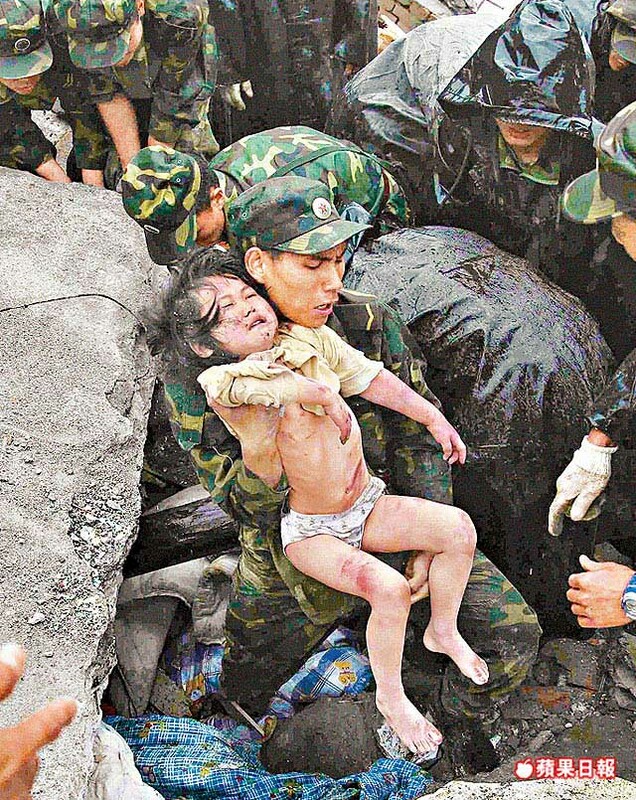 She was crushed in the collapsed house. Through the crevice in the rubble, it was possible to see her body position. She was kneeling with her upper body leaning forwards and her arms on the ground holding her body up. It looked somewhat peculiar. The rescuers stuck their hands in and determined that she was dead. They called a few more times into the rubble. They used the shovel to tap on the bricks a few times. There was no response. So the rescuers moved onto the next building. But the team leader suddenly turned back and started yelling, "Come over quickly." He went back to her body and felt underneath her. Then he said, "There's somebody here. There's a child. It is still alive." After some effort, the rescuers cleared away the debris and found the child, who was about 3 to 4 months old and wrapped in a red blanket with yellow flowers. He was totally unhurt because his mother had shielded him with her body. When he was taken out, he was still sleeping peacefully. The medical doctor came over and removed the blanket in order to conduct an examination. He discovered a mobile telephone wrapped it there. The doctor looked at the screen and saw a written SMS: "Dear precious, if you live, please remember that I love you." The rescuers were all moved to tears. Some netizens pointed out that this story was the one reported in The First and Beijing Evening News. Both of those newspapers sourced their stories to Tianfu Morning News and they were using mostly the same words. Both newspapers said that the child was about 10 month old. The newspapers said that the child was found underneath the body of the mother, but there was no mention of any mobile phone with a SMS on the screen. The SMS was the most moving part of the story, but the newspapers did not mention it. 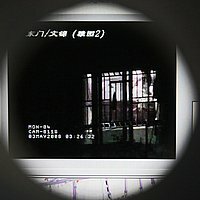 So the Tianya poster was either making things up, or he was an eyewitness, or he learned it from hearsay, or these are two completely stories. It is most likely that this story was made up, because there was no name, time or place. Meanwhile, the Tianya version of the story is making the rounds on television news. On Liaoning Television, the female program host was crying in an exaggerated manner while not bothering to verify the story. To a certain degree, this is actually hurting the disaster relief effort. That is to say, are there not enough genuine tragedies and sentiments over the past few days that we have to make stuff up? Instead, we are bogged down with a debate over the veracity of this story. Disaster-Themed Advertising (05/18/2008) (China.com) On the front page of Metro Morning News, the news headline was: "Citizens of Xuzhou fully support disaster relief in Sichuan." The bottow of the page is an advertisement from the Huaxia (Jiangsu) Group for the Nanshan Watertown Project. The selling point are the extra bold words: "Houses built next to the mountain are more secure/sturdy/durable." Not only is this crass, but it may not even be factually correct: in an earthquake, a landslide will wipe out the houses at the bottom of the hillside. ... Today, the principal duty of a political commentator is to point out the mistakes and negligence of the authorities with respect to the efficiency of the rescue work and their arrangements for the disaster victims. Obviously, political commentators all understand that if there are big flaws in the rescue work or if there are many improper situations in resettling the disaster victims, then this may be due to flaws in the state system. That is, the totalitarian system lacks democracy and political power is too concentrated and so it does not have the flexibility during major incidents, thus resulting in huge loss in lives. During this period of emergency rescue work, the victims and rescuers all need various forms of support and encouragement. Mr. Li Yi's "theory of the reprimand of the Gods" is absolutely thought-provoking after the rescue work has ended. But in terms of timing, it happens to be premature. The same truth carries different weight at different points in time and space. In 1989, many including Leung Chun-ying criticized how the Beijing government handled the Tiananmen incident. Today, too many people could not wait to huddle up next to the same government. Mr. Li Yi, your essay was not wrong. The mistake was to publish it a few months too early. As for the assertion that a democratic political system is better equipped to handle natural disasters than a totalitarian system, please see the photographic evidence at Katrina 01 and Katrina 02 (WARNING: EXTREME GRAPHIC PHOTOGRAPHS). Who is to say? On television, I saw a government that was inconceivable five years ago during the SARS period. Apart from certain roadside gossip about earthquake prediction, the government opened up all channels and let the media gather news without any forbidden zones. 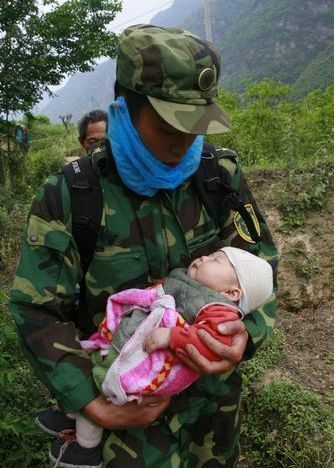 The People's Liberation Army in charge of disaster relief even provided media liaison personnel. This open and transparent way of handling information did not bring about the social instability that the government used to be concerned about. On the contrary, it roused the nation into contributing towards disaster relief. At such a moment, no media are going to pour cold water on the effort; on the contrary, they automatically form a mainstream without requiring any directives. After this tragic but valuable experience, the government ought to have learned that a natural disaster is not a reprimand from the Gods and it is not a shame that needs to be covered up. "Why?" Questions for Premier Wen Jiabao. By Zhang Chengjue. May 16, 2008. Q1. Why were rescuers not sent out immediately to the epicenter in Wenchuan county? Q2. Why did the helicopters and paratroopers not perform as expected? Q3. Why were the rescue teams from the United States and Europe not asked to come to help? Q4. Why did the Earthquake Administration offer no prediction for this earthquake? Q5. Why is the government so stingy in allocating money for disaster relief relative to other donors? Q6. Why continue with the Olympic torch relay near the disaster zone? How about skipping the zone while toning down the event elsewhere as well? Q7. How safe are the dams in the disaster zone? How safe is the Three Gorges Dam? Q8. How do you ensure that the donated money are used properly? It is untrue that any mention of these questions results in automatic deletion. In fact, you can easily find discussions of these questions on the Chinese Internet. So the topics are not banned per se. Much depends on the 'style.' For example, it is okay to ask "How come the Beijing government allocates only 1 billion RMB when both the Hong Kong/Macau SAR governments and the Chen Shui-bian administration in Taiwan gave 400 million RMB?" In fact, there is much discussion about rankings of nations, corporations, celebrities, etc with respect to their donated amounts. What might be problematic is saying "The Beijing government is allocating 1 billion RMB, which is just 1/900-th of the 900 billion RMB of public money spent by government workers on food, travel and car expenses." In any case, all these questions can be discussed rationally, and they are being so discussed. Leung Man-tao refers to the "roadside gossip about earthquake prediction." This refers to two apparently successful predictions of the May 12th Wenchuan earthquake. (ESWN comment) If this paper were written in 1990, then the arithmetic formula would yield 1993 (not an earthquake year); if this paper were written in 1996, a different arithmetic formula would be derived with the next earthquake most likely occuring within 7 years (which was the maximum gap observed in the series). But since the paper was published in 2006, the authors knew that there were no earthquakes since 1996 and therefore the required date has to be 2006 or beyond. This is numerology. This is not science. (enorth.com.cn) In 2004, the same Geng Qingguo proposed a theory about the flooding of the Yellow River as being determined by the orbit of the planet Venus with respect to the Sun. Thus, that the Yellow River floods of 1517, 1760 and 2003 all occurred one year before Venus and the Sun reached a particular position. According to this theory, it will be another several hundred years before the Yellow River floods again. Does that mean that no flood control projects are necessary now for the Yellow River because the theory says that there won't be any floods? Alternately, when the date comes, it is also futile to fight against it because the theory says that it will occur anyway. Postscript: National Geographic News cited a scientific study ten months ago that warned about a earthquake centered in Beichuan. "The faults are sufficiently long to sustain a strong ground-shaking earthquake, making them potentially serious sources of regional seismic hazard," the Chinese, European, and U.S. geoscientists wrote in the mid-July 2007 edition of the journal Tectonics. They concluded that clashing tectonic forces were growing in Beichuan, ready to burst in an explosion of seismic energy. With precision and what now seems like eerie foresight, the researchers charted the active faults on multicolored maps of Beichuan, which turned out to be the epicenter of the recent earthquake. "As far as I know, this is the only investigation of these active faults," said study co-author Michael Ellis of the Center for Earthquake Research and Information at the University of Memphis in Tennessee. But this information is not actionable since it does not pinpoint a particular time and place. This is known as an earthquake forecast for the middle-term. You cannot say that everyone should stay outdoors indefinitely because there is an earthquake warning. 08:32 I have been waiting for the army helicopter at Fenghuangshan airport since 7am. Everything has been arranged. I should be able to take off later. 08:42 There are many helicopters waiting at the airport to take off. Yesterday afternoon, there were also many ambulances at the airport. The same thing should happen today when the wounded evacuees arrive. There are quite a few photojournalists, but most of them were not allowed to fly. 08:45 Unlike civilian flights, there are no specific timetables. It all depends on the specific situation. 08:47 The helicopters are good. All 26 helicopters for the Second Army Divisions are in action. 08:49 They bring the materiel in and take the wounded back. 08:52 The situation in Wenchuang county city is not as bad as previously thought. There are not many casualties. The county city was not totally destroyed as was the case with Beichuan. It is somewhat better. 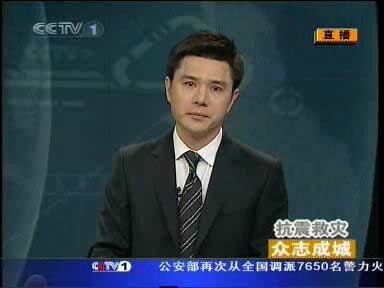 08:59 I just saw Xiao Cao (note: another Southern Weekend reporter). He should be able to fly today as well. It is wonderful that Southern Weekend can get two reporters into Wenchuan. 09:34 I have made contact with the Special Forces and I am about to board the helicopter. The Premier has demanded that the forces must reach all the towns and villages which have remained invisible because the rescue teams have not arrived yet. After we land, we will have to walk several dozen kilometers. 09:52 We are boarding the helicopter right now. We are going to look for the last town (Caopo town) that has not yet be reached by rescue teams. We are riding a Blackhawk helicopter. 09:53 There are ten Special Forces soldiers with me. They are personally led by the division commander. 10:19 The flight is steady. The Special Forces are calm. They are resting and prepared to accomplish this big mission. 10:26 The Special Forces division commander Su Ji said: "We are determined to complete the mission given by the Premier. We will bring help to the last town that has not yet been reached by the rescue team. The sound of the rotor is too loud. We cannot talk. 10:31 The helicopter is flying at several hundred meters above ground, and we are flying over a mountain. 12:00 We have landed. We have communicated with the Division headquarters. Everything is fine. 12:01 Communication in the county city has been restored. I have a signal. 12:02 We are all fine. 12:17 The damage is not too serious. The disasters victims are emotionally stable. Some shops are even operating regularly. 12:45 I interviewed the commander-in-chief of all the forces in Wenchuan. He is provincial military district deputy commander-in-chief Li Yazhou. The forces are moving towards the various towns and villages. This morning, there was a landslide at a village in Maochang 15 kilometers away. More than 100 villagers were buried. Commander Li has ordered 85 soldiers to go there at 10am. 12:48 The soldiers ate some vegetables this morning. For the past several days, all they had was rice soup with a handful of salt. 13:28 There was a strong aftershock. 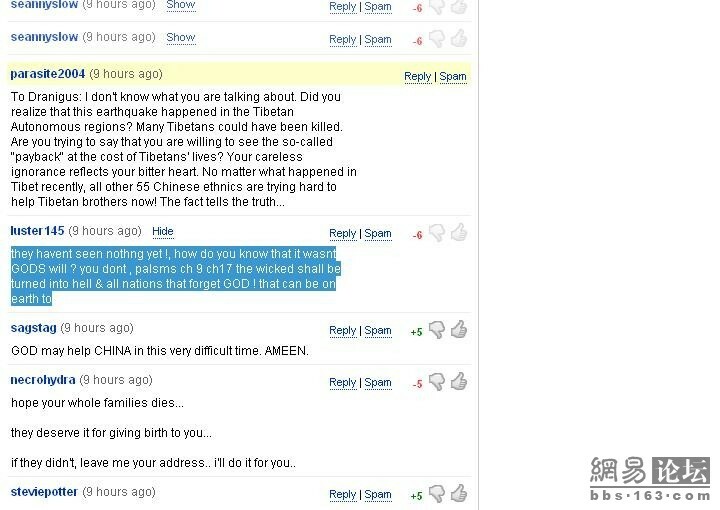 The earth was trembling. Commander Li and I continued to go by car to inspect the situation. He said that this was probably an aftershock around a Richter scale 4. There will be stronger aftershocks to come. 14:37 There are now more than 20,000 soldiers in Wenchuan. 14:57 More soldiers and militia police are arriving in Wenchuan county. The 'iron solders' from the Jinan military district and the militia police from Jiuzhaigou have just reported in. The militia police were ordered not to rest but to proceed immediately to Caopo town. 14:58 Finally, the forces have arrived at Caopo town at noon. 15:04 These forces have taken grave risks in order to reach the epicenter. Commander Li said that the rocks kept rolling down on the way. Both his legs were injured. He pulled up his trouser legs and there were wound marks everywhere. 15:06 The aftershock just cut off telecommunications. The fixed line and handy personal telephone systems that were repaired yesterday are now dead again. 15:23 The major task of the moment is to open the road between Caopo town and Yingxiu town. Right now, the western road between Wenchuan and Liyuan is open. But it takes more than 700 kilometers to take the western road from Chengdu to Wenchuan. If the aforementioned road is open, then the north-south road will also be open. Transportation into Wenchuan will be vastly improved and the lifeline will be truly working. 15:25 At the time of the earthquake, the Wenchuan county governor was down in the countryside in Wolong. He has not been heard from. 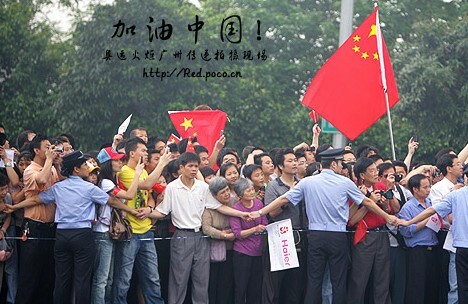 15:28 Before the army forces entered Wenchuan, public order was chaotic. There were mad scenes of looting for water and and so on. The situation is vastly improved, and social order is in place. 16:09 Central Military Commission vice-chairman Guo Baxiong is inspecting in Yingxiu. 16:10 Rocks continue to roll down from the mountains on both sides of Wenchuan county city. 16:14 Many tents have been set up on the open space in front of the courtyard of the Aba Prefecture Hostel in Wenchuan county city. This is serving as the frontline headquarters for Wenchuan. 17:29 80 experts from the medical hospital affiliated with the Number Three Military Medical University led by Huang Xudong have arrived in Wenchuan county city at 5pm. They immediately began to treat the 3,000 injured persons at the nearby locations. 10:37:16 Latest news: the 100,000 trapped in Pengzhou are in danger!!! 10:38:49 Due to the heavy rains, the engineers have failed several times to erect a new bridge. There are signs of mudslides in the surrounding area. The telephone call was put through directly to the Premier. The situation is very perilous!!! 10:39:19 Due to a collapsed bridge, the 100,000 people of Pengzhou are trapped up in the mountains. The rescue personnel and material cannot enter. There are signs of mudslides. 10:46:50 The Premier said, "I have only one thing to say. The people have been feeding you, so you see what you can do." 11:34:40 Latest news, the signals from Yingxiu, Xuankou and Wolong towns are very weak, and no communication has been made so far. It is estimated that almost 20,000 people are trapped in those three towns. The aftershocks are continuing. The situation is very grim. Since visibility is too poor, it is difficult to assess the situation. The Command Headquarters has issued the order to the paratroopers that even if the conditions do not permit, they will parachute down no matter what the price is! 11:36:38 No. The airplane is about to enter a thunder zone. I have to turn the machine off. I'll chat with you again later. 13:59:41 The Chengdu Military Distruct special scout corps is traversing the wilderness towards Wenchuan. It is hoped that they can succeed and direct the parachute drop. Q3. Are you satisfied/dissatisfied with the performance of President Chen Shui-bian in the following areas (ranked in decreasing order of satisfaction)? Q5. Do you think that Taiwan has moved forward or backwards over the past eight years? The Gods Reprimand The Chinese People -- Or Maybe Not (05/15/2008) With respect to the Apple Daily editorial The Gods Reprimand The Chinese People, the writer Li Yi has backed off (but with some reserved wording -- that is, he apologizes if anyone misunderstood). Widespread public criticism may have motivated him. ... I see many readers criticising my Apple Daily editorial on the Internet. Concerning the theory of "The Reprimand of the Gods," I deeply regret that some people thought that it was the victims of the disaster who are being reprimanded and I am willing to apologize for creating the misunderstanding. The theory of "The Reprimand of the Gods" was proposed by Dong Zhongshu of the Han dynasty against a despotic regime within no restraints on its powers. He proposed that the Heavens will reprimand the Emperor (who is the Son of Heaven) by inflicting disasters. The victims of the disasters were naturally the common folks, but the rulers faced the risk of seeing their grasp on power shaken up. Therefore, whenever disasters occur, those "knowledgeable citizens with conscience" will seize the opportunity to enumerate all the misdeeds of the rulers under this non-scientific theory" (in the words of Xu Fuguan). Thus, the invocation of "The Reprimand of the Gods" was a way to force the rulers examine themselves. During the dark days of the Cultural Revolution, the Tangshan earthquake took place and Xu Fuguan used "the Reprimand of the Gods" to get the Emperor Mao to examine himself. Since Xu cared about the people and their lives, he naturally did not think that the Gods were using an earthquake to reprimand the suffering common folks. As for democratic countries which are not under totalitarian rule, a disaster is a disaster and nobody thinks that it is necessary to use this as an excuse to criticize or warn the rulers because the people already have the right to criticize their government. When Li Yi wrote his essay, he had his defenders. Under the theory of "The Reprimand of the Gods," the Gods are displeased with the rulers. Shouldn't the Gods punish the rulers directly? Why should the Gods punish the innocent common people instead? This could not be serving justice. So the explanation was that the victims were not so innocent after all. Why? Because they had been complicit in accepting the rule of the Chinese Communists!!! In like manner, the Germany people are held responsible for what the Nazis did, and so on. 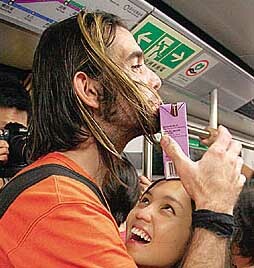 Of course, that argument rapidly breaks down with an example such as this photo in today's Apple Daily. Why are the Gods punishing this small child for complicity? What did she ever do to deserve this? 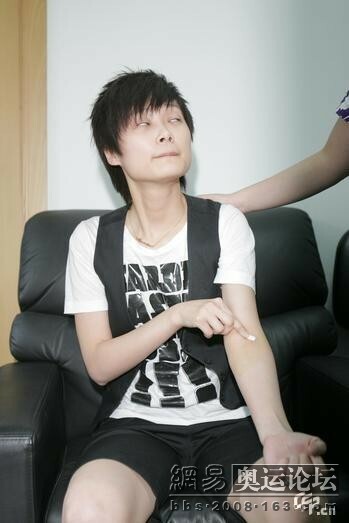 Li Yuchun Donates Blood (05/15/2008) (NetEase) Or was it just a show? In the first photo, Li Yuchun is with the doctors and pressing a finger on her left arm. In the second photo, she has come out to meet the press and she is pressing a finger of the right arm. That was not such a well-scripted show, is it? Alas, the two photos were taken from a series, which is presented below. The full script goes as follows: Li Yuchun goes in, signs a consent form, holds a brief discussion, takes a blood test on the left arm first, rests to wait for the test results and finally donates blood through her right arm. Harmful information does not have to be harmful, because the truth will come through. As a result of this malicious act, Li Yuchun actually gained public sympathy. 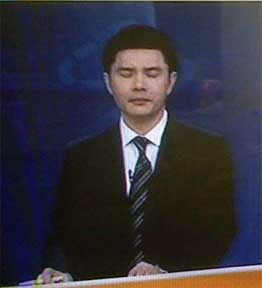 Yet Another CCTV Program Host Loses Composure (05/15/2008) (NetEase) In China, the on-air behavior of the state television news anchors are scrutinized very carefully. Indiscretions such as jacket, shirt and tie on top but shorts at the bottom, or yawning during the news become major incidents. At noon on May 14, CCTV News channel anchorman Zhao Pu was speaking to the field reporter at the frontline of the Sichuan earthquake. 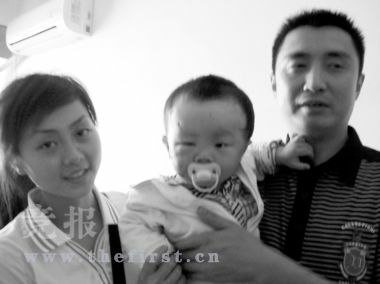 Zhao learned that the child of the head nurse of the rescue team was buried inside the collapsed school building, but nevertheless the head nurse continued with her official duties. Zhao commented: "Why are we capable of doing this? Because the people on this earth know how to help and look after each other." Then Zhao choked with tears in his eyes. Several seconds elapsed before he regained his composure. Internet comments on the slip by Zhao Pu began immediately, but nothing like the hostile negativity against the previous CCTV mistakes. Here is one comment: "This is the kind of news anchorperson that we need. News can be emotional too! If in the face of the scenes of disaster, an anchorperson still maintains a cool, detached demeanor, then would I want to watch such a broadcast?" 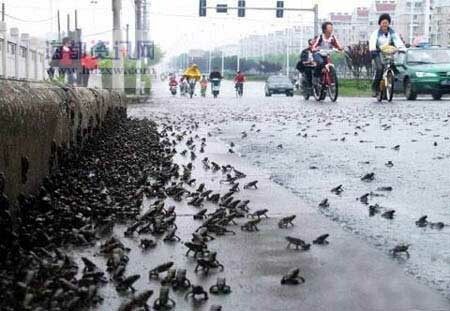 On May 9, several tens of thousands of toads appeared on the Dongfeng Bridge in Taizhou city, Jiangsu province. These toads came out from the canal, climbed up a slope and crossed over to the other side of the bridge in an orderly fashion. There were no earthquakes at those places around those dates. Therefore, it is an urban legend to say that earthquakes will occur when toads migrate. There may be some instances of 'true positives' when this is true by coincidence, but there are many more instances of 'false positives' when no earthquake occurred. There may be no perfect method to predict earthquake yet. The imperfect methods available now must be evaluated on the ratio of 'false positives' versus 'true positives (and, to a lesser degree, 'false negatives'), and none of them are cost-effective. What are the costs? If there is a prediction that there shall be an earthquake in Sichuan around May 12, plus or minus 5 days, then the measures would be to move the people away from buildings and hillsides into open spaces for the duration. That means, businesses, schools, hospitals and governments have to be closed, and everybody sleeps in the street for ten days. What if this was a 'false positive'? Who is going to pay for the economic costs of the disruption? If 'false positive' occurs ten times in a row, who is going to pay heed to the eleventh time, which may or may not be a 'true positive'? There may be those who step forth to claim now they had predicted the Sichuan earthquake beforehand. That may well be, but they have to produce their previous records of prediction. For example, if they had made one thousand predictions and the Sichuan earthquake was the only one that they got right. That isn't much good, is it? In fact, the performance of the 'toad migration' method may even be better. The third and fourth photos are not usually associated with another very dramatic photo of the same scene. That was what Wen Jiabao was looking at. I cannot image that in the aftermath of such a natural disaster that there would be some Hong Kong people who regard this as the Gods reprimanding the Chinese people and therefore choose to sit on the sideline and watch. Hong Kong people have lost their humanity. The reference is to the Apple Daily opinion essay by Li Yi on May 13, 2008. The blog post above is not entirely fair, because the Gods are reprimanding the Chinese Communist Party rulers and only some (but not all) Hong Kong people hold such opinions. A strong earthquake measuring 7.8 on the Richter scale occurred in Wenchuan county, Sichuan province. The Sichuan provincial Earthquake Administration said that they detected a 8.0 earthquake in Wenchuan itself. People around the country felt the earthquake, so did Taiwan, Hong Kong and Thailand which are 1,900 kilometers away from the quake center. At this time, the casualty figures from Wenchuan and dozens of other counties near the quake center are still unclear. The power of a 7.8 earthquake is equivalent to 252 atomic bombs. According to Hong Kong University Department of Earth Sciences associate professor Chan Lung-seng, this earthquake is as powerful as the 1976 Tangshan earthquake. At Tangshan, 240,000 people died. This time, the quake center is in a mountainous area and Wenchuan only has a population of 100,000. There are fewer people around than Tangshan. But the actual casualty figures will increase gradually. The Three Gorges Dam is also of concern. The official Chinese news was that the dam had not been affected. We hope that this is true, because a dam break would be another catastrophe. The snow calamity earlier this year, the train collision on Jiaji Railroad and then this earthquake should make people think that China has been experiencing disasters frequently. The Tibet disturbance also drew global attention. There has been a string of foot-and-mouth disease cases in mainland China. And on the day before the Olympics torch relay in Hong Kong, the second worst car accident in the history of Hong Kong took place. All these events make people feel that these are bad omens. This is the year of the Olympics, and could these bad omens be implying that China does not have the required social and political conditions? Scientifically speaking, there is no evidence that bad omens are real in the world. But I am reminded that after the 1976 Tangshan earthquake, the famed Confucian scholar/professor Xu Fuguan wrote an essay that said that we need to look at the earthquake from a scientific as well as non-scientific angle. We don't need to say anything more about the scientific angle. But what is the non-scientific angle? Professor Xu pointed out that the powers of the emperors were limited by the possibility that some people may use natural disasters as signs that the Gods above are displeased with the cruel rule of the Emperor. This is the so-called "reprimand from God." Under the despotic rule, the Emperor can ignore the sufferings of the people; when the advisors try to plead with the Emperor, he can ignore them and even punish them; but the Emperor has to listen to the Gods! This non-scientific "reprimands from the Gods" usually takes place when the Emperor has lost his way and it serves to force the Emperor into mending his ways, even acknowledging his faults. In those dark times with little or no hope, these non-scientific events must be said to have some effect in bridling the powers of the Emperor. This non-scientific theory of "reprimand by the Gods" is naturally not credible. But some of the important persons in Zhongnanhai are into fengshui, face reading and metaphysics. If they think that these frequently occurring natural disasters represent "reprimands from the Gods," then maybe they will be less willing to let corruption spread, oppress protests in Tibet, arrest dissidents such as Hu Jia, suppress freedom of speech or engage in other acts of tyranny. Apart from speaking of "interests" all the time inside and outside of China, they ought to be speaking of "benevolence and righteousness." They should not get too ecstatic about hosting the Olympics or spending so much money on image-building projects. Instead, they should spend some money to help the poor people. The Chinese has this saying that "those who commit too many unjust acts will meet terrible ends." In the face of these disasters, they cannot keep shouting slogans. They should reflect on themselves and offer amnesty to all the political prisoners. This is one way of accumulating some moral credits to ward off the disasters. The Olympics is a big project, so how can a nation without any moral strength be able to take it on? Q1. How serious do you think is the problem of rising costs in Hong Kong? Q2. Do you feel that the costs for goods will rise, fall or remain the same one year from now? Q3. Overall, how much negative impact has the rising costs for things on you? Q5. What is the major reason for the rising costs for things in Hong Kong? Q9. How confident are you in the ability of the Hong Kong government to hold down the rising prices for things? Q10. Do you believe that feel that Legislative Councilors with political party backgrounds have helped to relieve the citizens from the pressures of rising prices? The brothers at the Chemistry Department will support me! In this post, I was moved most of all by the statement "I believe that I will be facing a waste land but I will be able to embrace my parents." At this time, as the son of his parents, he has made his own choice. As his compatriots, what should we choose under the circumstances? At this time, the discussions about whether the Olympic torch relay should be cancelled, or the engineering quality of the elementary schools, or the speed of mobilization of the army, or the calculation of the fortune of this hear seeks almost shameful to me. Stopping the Olympic torch relay, or arresting all the construction contractors, or assembling one million soldiers from around the country, or reading the fortunes of the dynasty are of no help to the victims. Instead, it only increases arguments and fears. Everybody should pause and imagine being buried under the debris while the cold rain falls outside: What is your most urgent need? Could it be those 'brilliant' ideas? Therefore, I am grateful to all those people who sent SMS to me. This is the first time that I was not upset at receiving these grouped messages. We should be able to donate out of love to the Red Cross, and we ought to do so. I also thank those friends who donate blood. We cannot go to the disaster areas, but our warm blood can go there. If our blood is warm and bountiful, no compatriots will turn cold slowly in the rain. Yes, we have blood in addition to money. I also want to thank those netizens who provide various information about how to offer help. I thank those friends who are silently praying. I thank all those who performed good deeds. At this moment, we ought to put aside all the arguments and prejudices. We should unite and fight to save every life possible. Today, more than half of the population in China only know about the Tangshan earthquake through books and oral tradition. We are now facing yet another Tangshan earthquake. 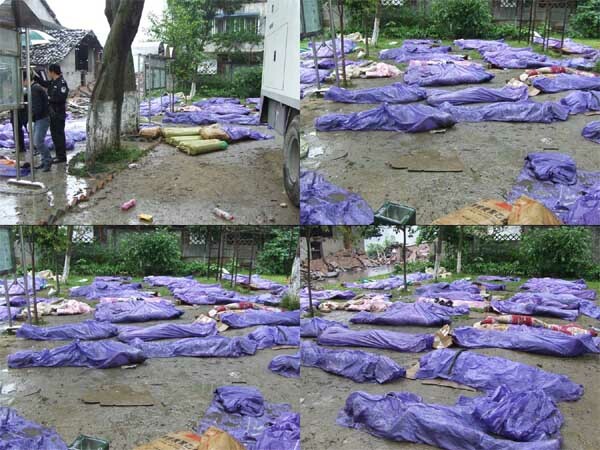 At Tangshan, more than 200,000 people perished. This time, we will not permit this to happen again. Perhaps the Heavens have decided each generation should suffer such an catastrope, but we have decided that we will save more lives each time. We will not be tired and we will never give up. My young friend made his choice: he wants to go back home even if it is a waste land and even if he dies, he wants to die with his parents. As for us, we should not choose to curse people, we should choose to make accusations, we should not choose anger and we should choose to embrace. We cannot make time reverse itself and bring the dead back to life. But we can embrace closely and then there is a hope. Amidst the ruins, this hope is the only thing that can uplift and comfort people. At a moment like this, I would not say "God bless China." I can only say that God helps those who help themselves. I only believe in holding each other tight and feeling the warmth of the embrace. 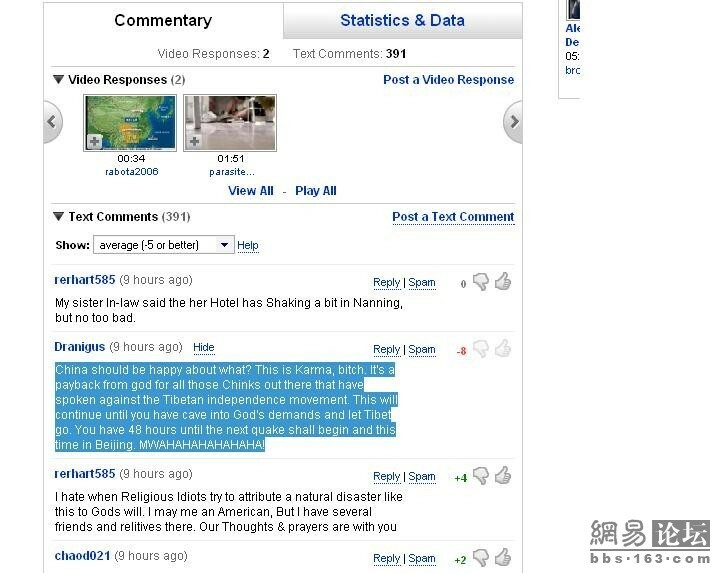 Wingnuts Are Not Limited To Chinese Netizens Only (05/14/2008) (Wenxue City) Of course, these examples are not reflective of all western opinions. 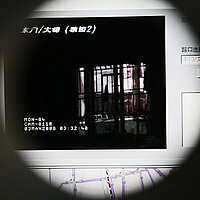 For example, on April 29, the camera began scanning two luxury apartment buildings from left to right and from top to bottom. When the camera reached a window with lights on, it would stop and magnify the view. 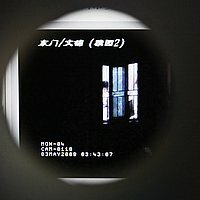 When the camera reached a window with drawn curtains, it would move on immediately. 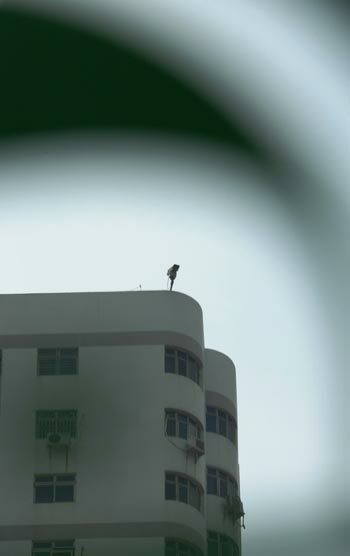 On early morning in May 3, the reporter observed that the camear stopped and focused on the bedroom with open curtains. A woman appeared, took off her clothes and went into the bathroom. The camera followed this woman for a total of 59 minutes 41 seconds. A Harmonious Photo? (05/11/2008) (Beifeng at Ramblings of a Drunkard blog) The Chinese crowds out to watch the Olympic torch relay have been huge, to the point where the police are overwhelmed. 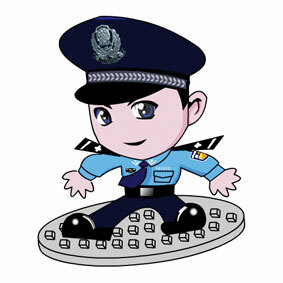 When there are not enough police, citizens need to provide help in the civic spirit. In theory, this cute photo would be a perfect illustration of civilian/police cooperation. What do you mean by civilian/police cooperation? 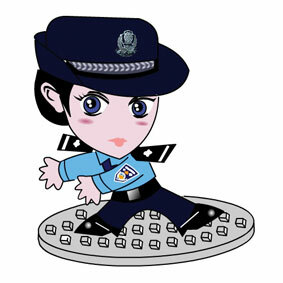 This photo clearly shows "Jing Jing" (refers to the cartoon female police figure at Chinese websites) and "Cha Cha" (refers to the cartoon male police figure at Chinese websites) with a plainclothes policeman between them! 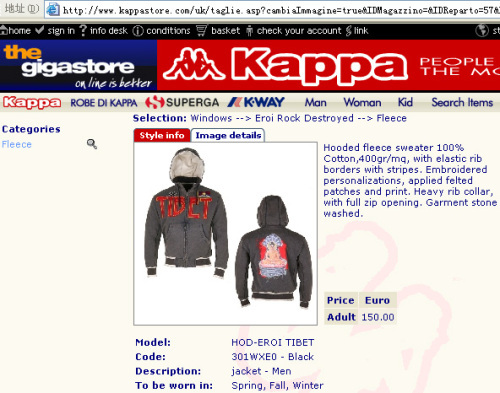 (Three Gorges Online) The clothing of the Italian brand Kappa can be seen at various Chinese stores, especially their line of clothing for different countries in the world. When Italy won the World Cup in 2006, the blue Italian jackets were popular. 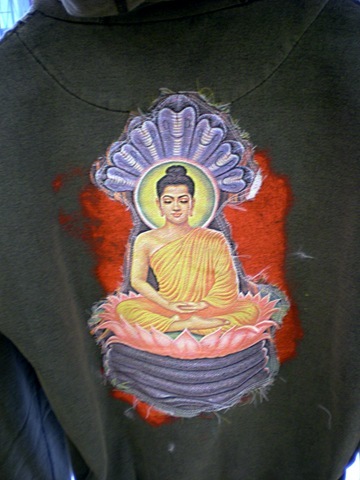 In Milan, a Chinese netizen saw and took photos of a Kappa "Free Tibet" jacket, with the Snow Lion flag in front and a Buddhist figure in the back. This item could also be found at online store. The price of the jacket is listed at 150 Euros. In China, the Kappa representative is China Dongxian. On May 6, China Dongxian issued a statement that emphasized that the Free Tibet jacket was designed, produced and sold by the original trademark holder Basicnet. As such, China Dongxiang was not involved in any way whatsoever. China Dongxian said that it obtained the trademark rights to the Kappa brands in mainland China, Hong Kong and Macau in May 2006 and it produces and sell all its own products in China. 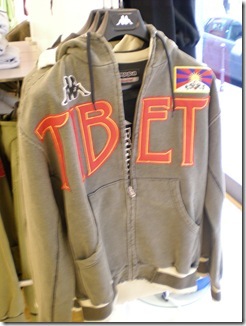 The Free Tibet jacket has never been produced or sold in mainland China, Hong Kong and Macau. China Dongxian says that it has asked Basicnet to withdraw this item from the market. As of now, the item is no longer listed at the online store. China Dongxian said in its statement: We will never do anything that damage the national interests or hurt the feelings of the people." "Tibet Independence Girl" (05/11/2008) "Tibet Independence Girl" is the moniker for Christina Chan Hau-man at the Chinese-language Internet forums. (SCMP) 'What's wearing a bikini got to do with Tibet or human rights?' Barclay Crawford and Fanny W. Y. Fung. May 11, 2008. In the past week, newspapers and netizens have made private photographs of her public, including shots of her in a bikini, enjoying herself at bars and nightclubs, and kissing companions. Her body measurements were taken from her modelling-agency profile and circulated, and there has been commentary about her dress sense and relationships. She appeared on the cover of a popular tabloid magazine and more than 100 posts with her name were made on the Hong Kong-based popular forum Discuss.com.hk. A post with a collection of Ms Chan's private pictures had been viewed more than 23,000 times since it was uploaded on Monday. A similar search on another popular site, Hong Kong Golden, hit 140 results from April 28 to Thursday. "I don't see how me wearing a bikini has anything to do with Tibet or human rights," she said. "I haven't done anything I'm ashamed of, but I just think it's regrettable that my friends have to be involved in this. Obviously, they have been asked about this by their families and friends and that type of thing." Lui Tai-lok, a sociology professor at Chinese University, said criticism of the mainland's policies on Tibet was not new and therefore not newsworthy. "The focus is less on the issue itself, but on personalities, focusing on an individual and picking up whatever you can get from him or her," Professor Lui said. "The sad part of it is, after a week or so, who cares about any of it? But that's the media ecology these days." Professor Lui said that while Ms Chan may have wanted to capture attention by being different, it was always hard to manage what the media would be interested in or what path the publicity would take." "You cannot direct or control everything unless you are really good at manufacturing news. And you need to have someone who represents David and Victoria Beckham to do that," he said. "Nowadays, with the internet, it's easy to dig up information. Pictures of you in a nightclub with guys you are not supposed to hang around with are available." A senior media observer said Ms Chan represented a fresh new angle "who got results" with her protests using the Tibetan flag. "That means a lot for the media," she said. "She's become a cover story. She has all the elements of novelty, that's why she has all the attention. "In the coverage, there is 1 per cent about her campaign, and the rest is about her. But for anyone who wants to sustain this type of exposure, she has to have a very strong campaign, but we don't know her platform or what she is advocating." MTR message: "Eating and drinking is not allowed on the platform or train." Missing is any discussion of Tibet independence, which the so-called "Tibet Independence Girl" does not even advocate.